الخيار الأفضل للحصول على المتعة والاسترخاء, Moments Mountain Retreat يقع في منطقة ونتر وورث فال في بلو ماونتيينز. يجذب هذا الفندق ذو 4.5 نجوم، والذي يبعد 2 km فقط عن وسط المدينة و 100 km عن المطار، الكثير من الزوار سنوياً. إن سهولة الوصول من الفندق إلى المعالم السياحية الشهيرة الكثيرة في المدينة كمثل Leura Golf Club, Wentworth Falls, The Leura Mall هو استثنائي بحد ذاته. إن Moments Mountain Retreat حريص على توفير الراحة للنزلاء، فلا يوفر الموظفون جهداً في تقديم أفضل الخدمات وضمان حسن الاستقبال. لضمان راحة ضيوفه، يقدم الفندق الخدمات التالية: واي فاي مجاني في جميع الغرف, تسجيل وصول/خروج سريع, تخزين الأمتعة, واي فاي في المناطق العامة, صف السيارات . تتضمن كل غرف النزلاء وسائل الراحة والتسلية المصممة خصيصاً لضمان الراحة القصوى للضيوف. إن حوض استحمام ساخن, حديقة هو المكان الأمثل في الفندق للاسترخاء وتفريغ طاقتك بعد نهار طويل. مهما كانت أسبابك لزيارة بلو ماونتيينز، فإن Moments Mountain Retreat هو الخيار الأفضل لإقامة مثيرة وممتعة. We were very impressed with our stay at Moments Mountain Retreat, from our welcoming glass of champagne to our very filling and delicious breakfast. 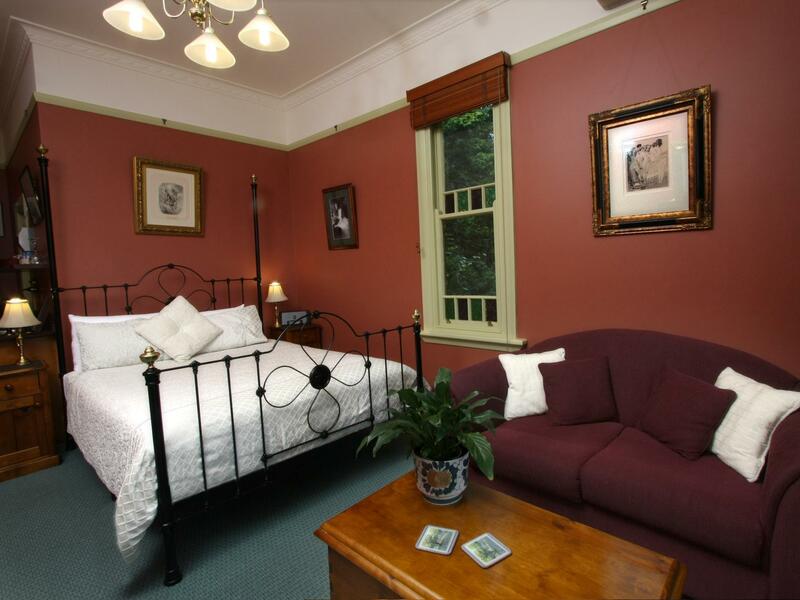 Staff were very friendly, accommodating and helpful We would stay there again. Absolutely amazing 3 course in-room served breakfast trolley. 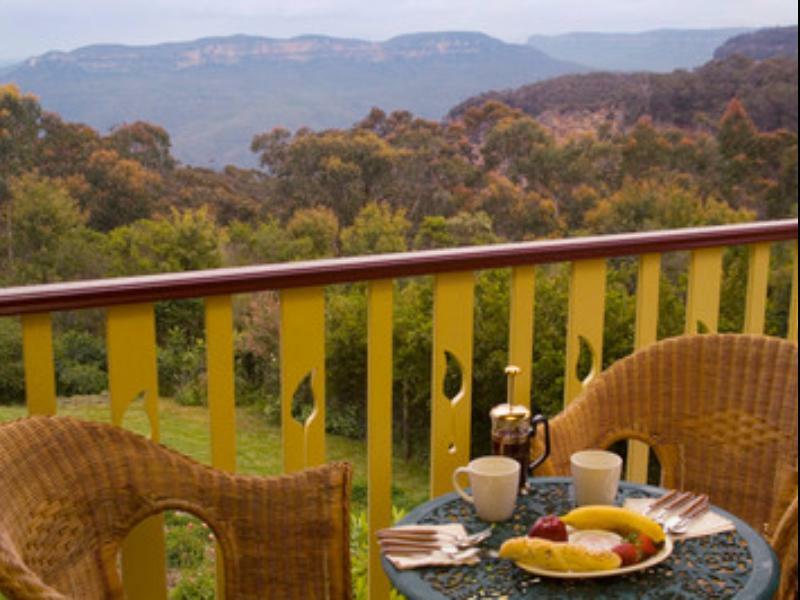 Your own balcony and fantastic sunrise views over the mountains. Room has a mini kitchenette, bar fridge and a games room lets you play pool or chess among other distractions. Quality interiors and friendly staff. Wonderful quiet place with spectacular views and superlative service. I’m sure we will be back again. Booked for a few days for my wife and I, tried to cancel due to sudden family member illness where hospitalisation was required. Showed no understanding whatever but happy to keep money. location is perfect, few minutes walk to many beautiful and breathtaking look outs and trails. Our room was nicely decorated and the breakfast was perfect and generous and fresh. Bibi is a great host very helpful. Could not find any better place for a romantic getaway. we booked for the 3 bedrooms house for 2 nites. I would said it was one of our best stay in Australia. The house is very spacious with modern designs and lots of art paintings. It was equipped with all sort of kitchenware and a laundry room is provided. The breathtaking view from the backyard is a big plus point for the house. Do take note that the price stated in agoda is meant for 2 occupants, since we have 5 persons, we are asked to pay extra A$50 for each extra occupants. We had a wonderful break from the city in this beautifully maintained, historical and peaceful retreat. It was exactly what we wanted and the location was perfect. Tamara, the Manager, was friendly, efficient and full of helpful information. You could tell she took great pride in looking after everyone and also the property. We will definitely recommend Moments Retreat. Beautiful view, attention to detail by the staff an a relaxing spa in our room. Tamara greeted us on arrival and was full of information on the bush walks available. After a 3 hour walk it was so good to return to champagne and nibbles on our private balcony followed by a relaxing spa bath. The whole stay was superb. The yummy breakfast and late check out were also appreciated. A beautiful mountain retreat. Panoramic views. Well equipped kitchen. Close to great walks only 10 mins from Katoomba and much more beautiful. Stay at moments Mountain Retreat & Cottages was pleasant. Though shuttle was not provided like mentioned in the website and when we enquired prior to booking, due to shortage of manpower. However the Manager did send us back to the train station at the end of our trip. And we also had a nice chat with her on our way back. The view was very good. But it was too cold for us to stay long in the balcony, which was a pity. The jacuzzi bathtub for 2 was also very nice. It's a open concept where the bathtub was just beside the bed. Breakfast also replenished daily. We love the great view and the walks. Will wish to return again. The photos do not do justice to this wonderful little cottage right on the edge of the Blue Mountains. 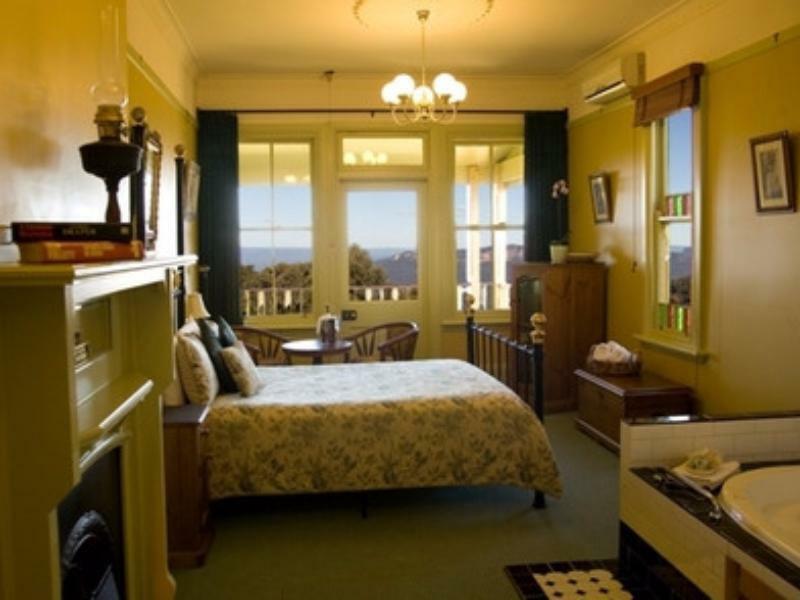 The view from the back veranda is amazing and the Vera Spa Suite is very roomy with a genuine old world cottage charm. Our first choice when we return! 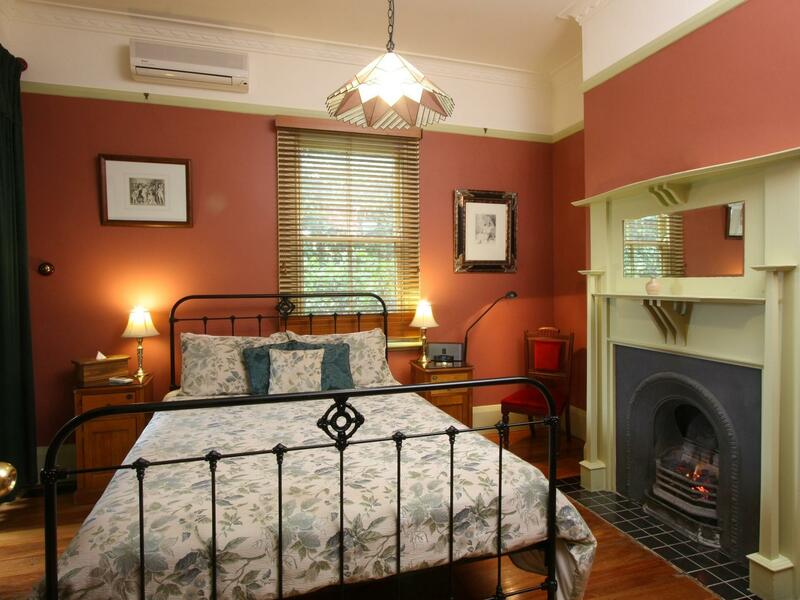 This place is within walking distance of the National Park Entrance. We had a great suite, with an enclosed balcony with a fantastic view of the mountains. No restaurant could match this view so we ate in. We got a wonderful selection of goodies for breakfast - a selection of cereals, breads, yogurt, juices, teas, and expresso coffee! After a day of hiking the jacuzzi tub was heaven! The staff was very friendly and helpful, supplying maps and suggestions. We stayed at Moments Retreat, just a stone's throw from the trail head for Valley of the Waters. It's an ideal location for hikers. The hotel was peaceful and our room well-appointed. We couldn't have been more pleased.